It's no secret that we adore taking lots of pictures with our iPhones. 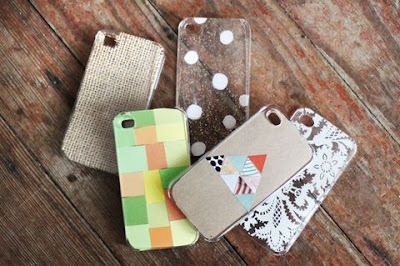 We adore getting new cases; they are the perfect little (functional) accessory. 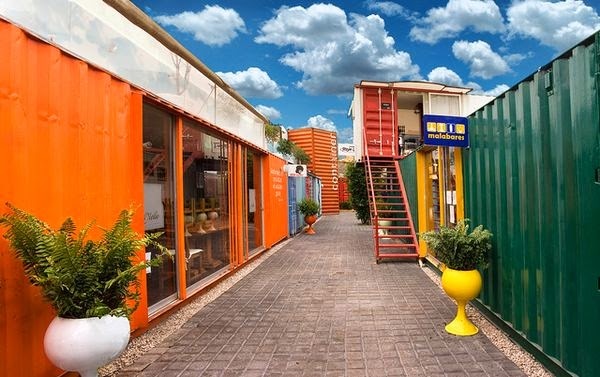 We decided it was high time we created some of our own. 1. 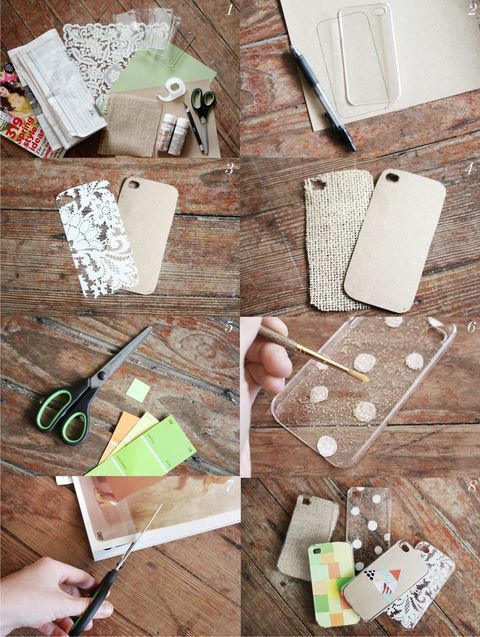 Supplies: Clear iPhone cases, pretty papers, paint, fabrics, found papers, scissors and paint brushes. 2. If you plan on making your case with papers first create a template that fits your case; including the where the camera goes so you don't cover it. 3. Use your template to cut out a pretty paper, lay this inside your clear case before popping your phone in. 4. Use your template to cut out a cute fabric, lay this inside your clear case before popping your phone in. 5. Use paint chips to create a collage for your case. 6. Paint the inside of your case—you can leave some areas blank so your phone shows through. 7. Create a geometric design out of found papers; such as magazines or pictures. 8. 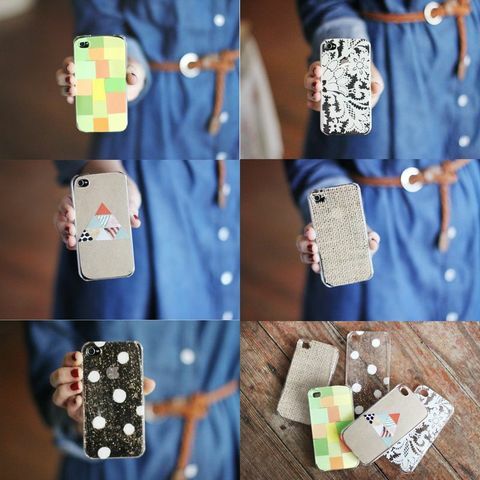 Have fun customizing your case to your style—or gift one to a friend! What we love about filling the inside of the case with a pretty paper or fabric is you can change out your design as often as you like. 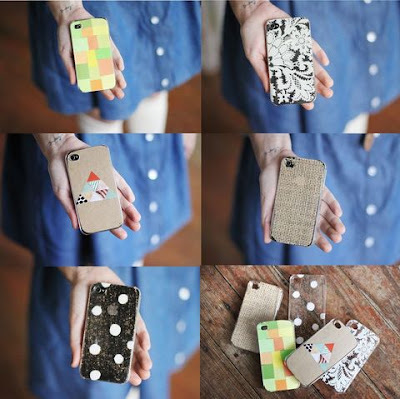 You could match your iPhone case to your mood. Or outfit.